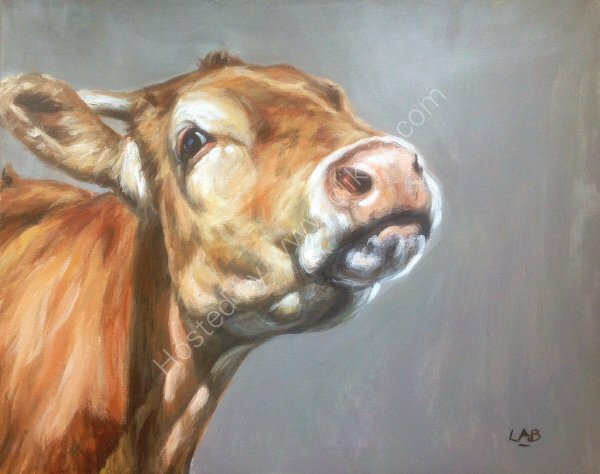 LOUISE BROWN ART: Snooty Cow. Original portrait of a cow. Acrylic on canvas.